Check CAT5/5e/6 cable for continuity, crossed pairs and pinouts. 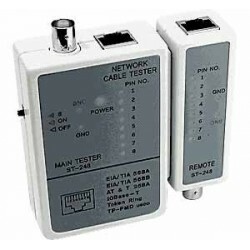 The Cable Tester for CAT5/5e/6 and coaxial cable tests for cable continuity and crossed pairs. 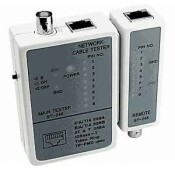 One person can check both ends of installed wiring with remote and local units. 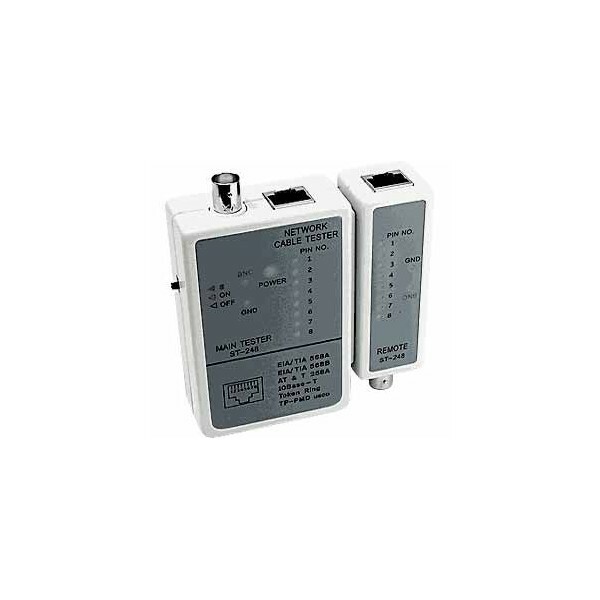 Tester for CAT5/5e/6 and coaxial cable. Visible LEDs for pins 1 though 8. Visible LEDs for ground and BNC status. Check pinouts, continuity and crossed pairs.